We spent time early in our career working for Don Peppers, the 1to1 marketing guru who touted personalization as a competitive advantage back in the 1990s, so it’s cool to see some of those concepts finally emerging. 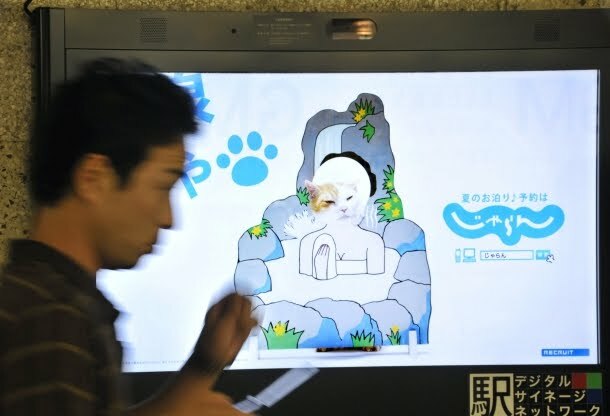 A group of 11 railway companies in Japan is now testing billboards that recognize passers-by gender and age, a bit like that Tom Cruise scene in Minority Report. In the first foray the boards will simply collect data to build profiles of which type of consumers actually look at (and presumably digest) the ad message, but you can see a future in which digital displays begin customizing content. Personalization has never taken off as a competitive force in the United States, barring a few examples in customer-focused service industries. Peppers used to suggest that the more your customers differ in terms of what they need from you and the financial value they provide to you, the more it makes sense to customize your service — which is why airlines, hotels, and financial service companies, all industries with huge skews of customer value, remain the leaders in CRM and service customization. Mainstream marketers in the U.S. interested in such technology might check out the outdoor industry’s new “eyes on ratings,” a traffic estimation service that moves beyond DEC traffic counts to estimate actual impressions against different audience demos (men, women, Hispanic, Asian, etc.). It’s not Minority Report personalization, but may be more practical for fine-tuning how you reach your target outside. (Asides from RFID proximity/transactional based stuff). Of course this is mostly terrifying to anyone over the age of 30. Privacy is dead…enjoy the benefits! it sounds pretty impressive because they can have personalize ads for every person. Next thing will be that they will have ads for a particular person.